As a family-owned business since 1961, Any Hour Services understands that your home’s comfort is important. Our technicians have helped thousands of homeowners across the Wasatch Front with their electric, plumbing, heating and air projects and are dedicated to helping you with yours. Live, friendly, and knowledgeable people are ready to answer your call 24hrs, six days a week! Techs you can trust around your family and with all your service jobs. All work will be completed while you're home. In 1961, Dwain Hepworth started a company called Hepworth Electric, right here in Utah. Dwain’s grandson, Wyatt Hepworth, is now the current owner and has grown the company to be what it is today: Any Hour Services. Since that time, more than 55 years ago, the company has expanded and now we offer electrical, plumbing, heating and air conditioning, drain and rooter services, as well as solar and home automation. We have a fleet of over 150 trucks with 165 employees, including certified and licensed, drug-free technicians. We are still a locally-owned and family operated company, big enough to maintain every system in your home, but small enough to stay in touch with our Utah market and our local Utah story. We’ve been in business for over 55 years and you can be assured we will be around for another 55 years--and beyond. Try us out and see if Any Hour Services is the Utah services company for you. From founder Dwain Hepworth to current owner Wyatt Hepworth, our company leadership has always been focused on finding the very best ways to help Utah families. As the industry and also the company identity have changed over time, Any Hour Services’ innovative and forward thinking leadership has helped us adapt to an ever-changing market. Any Hour Services also believes in a win-win-win leadership vision for the company, its employees, and its customers. We understand that if the employees enjoy working for Any Hour and are given the best tools for success, they will be invested in providing the best care for our customers. In turn, this means the company will be successful--and everyone wins! Any Hour Services regularly participates in community outreach programs as well as helping families in need. Currently we are supporting Primary Children's Hospital for their annual Give-A-Thon. If you'd like to make a donation go to KSLkids.com and 100% of your donation will go to helping the kids. Thank you for all you do. Best of State, a Utah based awards organization, awarded Any Hour Services their Best of State 2015 Award for the category of “Residential Maintenance & Repair”. 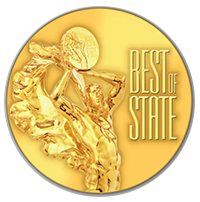 This is the second time that Any Hour Services has taken home a Best of State award. 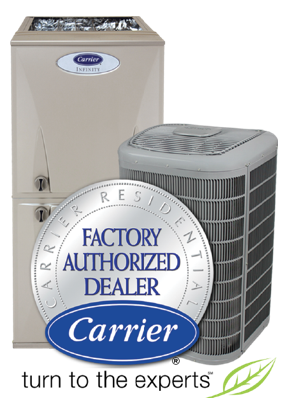 Any Hour Services specializes in servicing most major furnace, air conditioner, water heater and water softener brands. This includes the brand's individual year, make and model. Contact the experts at Any Hour Services today to find out more about your brand, make and model and to schedule a tune-up or service.